Reptile enthusiasts have long known that tortoises are highly intelligent, and quickly modify their behaviors to meet new challenges. Recent work at the University of Vienna (Biology Letters, March, 2010) has broken new ground in this area. 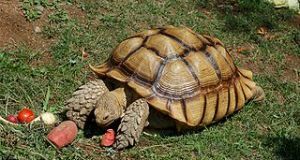 Red-Footed Tortoises (Geochelone carbonaria) have provided us with the first example of “social learning by imitation” in a reptile. In the experiment, a hungry Red-Footed Tortoise was presented with a dilemma – in order to reach its food bowl, the tortoise needed to negotiate a screen barrier. After a great many unsuccessful attempts to reach the food, the tortoise learned to walk out of the maze and go around the barrier to retrieve its reward. Four other tortoises were placed in the same situation. As with the first tortoise, they all tried, many times, to go through the barrier, and were unable to reach the food. The four were then positioned so that they could observe the original tortoise successfully evade the barrier and obtain meal. When tested again, 2 of the new tortoises immediately followed the correct path to the food, and the other 2 did so in short order. On several occasions they altered the successful pattern slightly, i.e. turning right as opposed to left, but maintained the correct “concept” and reached their reward none-the-less. Prior to this experiment, only social animals (primates, certain birds and fishes) were believed capable of learning by imitating others of their kind. Tortoises are the first solitary animals, and the first reptiles, to exhibit this ability. More to This Than We Expect? I wonder if observation may turn out to be a survival strategy of great importance to some reptiles…after all, the “student tortoises” learned the behavior on 1 try, as opposed to the original tortoise, which plugged away at the problem 150 times before figuring out the solution! Video of the experiment described above is posted here. Please see my article on Wood Turtle Intelligence for a look at another remarkably bright Chelonian. 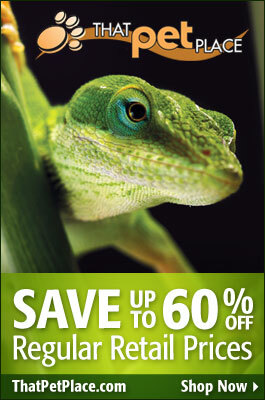 Many of the lizards I’ve worked with have shown remarkable learning abilities…please see Learning in Rhino Iguanas and other Lizards. Nice to hear from you, Thanks for the kind words. Good info on the Black Pythons as well; I worked with them at the Bronx Zoo and was always impressed. I’m not sure if I’m at the right blog to post a comment in reference to the intelligence of tortoises. I try not to get annoyed when people say that turtles are stupid. I’m sure that the turtles would think the same of us if humans had to live in a cage in the turtles’ real environment which is –the forest–the wild. If one treats box turtles (I’m not referring to snapping turtles, I don’t know anything about them) with the love, dignity, and respect that they deserve you will notice and learn a lot of things from them that people don’t know. Simply because this little creature hasn’t been domesticated. They do respond to love and affection. When they’re always hiding it’s because they’re afraid, of you, of someone, or of something. Most of my turtles will actually try to show me when they want something. Take my beautiful adult box turtle, Jessica, for example. In the summer when in the outdoor pen, she will do something to show me she wants to get out. I will notice it, if I’m in the present moment. Then I’ll get her out and take her for a walk. She then made a little ritual I had never seen before. She stretched herself out as if she was measuring the ground. Then she started digging with her hind legs, in a very peculiar steady motion. By then, I had realized what was going on. She was getting ready to lay her eggs. Which I had been waiting for, for at least 5 weeks, after she mated with the adult male, Elvis. Fortunately, I had already read at least 4 books on box turtles and knew that we have to allow them to complete the whole process of digging and laying their eggs. It’s their right, and they deserve it. I also knew that the whole process could take up to 8 hours. It was already dark. There was a full moon, but a pine tree was blocking the light, so it was almost pitch black. It took over 4 hours and I was thankful it didn’t take 8, or that she didn’t decide to start over someplace else because she had found a big root on the way. It was now after midnight, and I was still sitting next to her as she kept on working. She had dug a perfect hole to accommodate the egg/s. She dropped the egg into the hole, then she slowly began to cover it up. The way she was moving at this point, I could tell she had worked herself to the point of exhaustion. If she had been human, she would have been drenched in sweat. It was a very surreal moment that I will never forget. When she was finally done, covering the area and leaving it as if it had never been disturbed, I carefully put a marker where the egg was. Then I took her in the house, washed her up, told her she had done a great job and thanked her for the little egg, then I put her to bed. It was way past midnight by then and i was also getting tired. What kept me going was the adrenaline rush I got from the whole experience since I had been waiting for this little egg for so long. I knew that if I wanted the little egg I would have to go get it now. I had a flashlight, and after she dropped her egg (I didn’t really know if there was only one or more at this time), but when I shone the light on one I could see, I noticed that no sooner the egg had touched the ground and it was already covered in ants. Ants are famous for being hard little workers, so I knew that if I didn’t go get the egg now, it probably would have been taken apart by the ants in a few hours. I got the shovel and very carefully dug up the egg. You have to be very careful when you dig them out as they have to remain in the same position she put them. This same experience repeated itself about 5 weeks later. We went through the same process but this time I had a little more experience. Out of those 2 clutches, there were 5 eggs. One egg the first time, 4 eggs the second. The whole process of waiting for the eggs to hatch is another story which will have to wait for another time. But we now have 3 beautiful, 2 month old hatchlings. And this will be another story to write. (Two of the eggs probably didn’t get fertilized). Some people think that box turtles/tortoises are very easy to take care of. First of all, they are not battery-less toys for children. Experts recommend that a person should be at least 18 years old to have a pet box turtle. If you want your tortoises to be truly happy and thrive, a lot of work will be involved. You can’t just stick them in a cage and forget about them. If they’re not happy, they will stop eating and slowly starve themselves to death. Even if you put food and water in their cage, if you are not paying attention, you don’t know if they’re eating. People may laugh at this, but I think turtles have emotions. The fear they exhibit is a highly visible emotion. They live in constant fear. They’re even afraid of each other, if one of them gets too aggressive. Sometimes one will grab a piece of food and run and hide with it and eat it in hiding. I almost always quietly observe them when they’re eating. Just to make sure that they are all eating. If I notice one is not eating, I’ll take other measures. But that’s another chapter for another time. When I take Elvis, one of the adult males for a walk, I notice that he is starting to learn that he is not allowed to wonder off into the woods. He usually walks for a while, then picks a tree and relaxes by doing various things that he likes to do. Elvis and Jessica are the parents of the 3 new hatchlings. I have to take them out for walks one at a time. Otherwise, they will all run in different directions. Hope, another young adult female, usually tries to show me that she wants to get out of the cage by standing upright on her hind legs, and stretching her front legs as high as she can. Almost like a little baby when he wants you to pick him/her up. If one is not going to have the time or patience to treat a tortoise as if it was a little baby that will never grow up, it would probably be more compassionate to leave them alone. Also, don’t put a tortoise in a glass aquarium. They hate them and it stresses them out. They could also hurt themselves if they break the glass trying to get out in their desperation. I found a great little indoor cage that I like and they also like. It’s made by Zoo Med. It’s called the Zoo Med Tortoise House. I house 2 turtles per cage. You can even connect 2 of them to give them more room to move around. Whoever designed this cage must be a turtle lover. It also looks pretty in the house. I think Pet Solutions sells them for $110. free shipping. Amazon also sells them. I also have the Zoo Med Playpen for the 2 younger ones that may be too young to be in the 3 huge outdoor cages I have for the bigger ones. There’s probably about 120 feet on the outdoor ones. One of them in completely covered, so they can remain unsupervised, weather permitting. The other two require supervision since I live in a wooded area and there are lots of crows, ravens, owls, eagles, hawks, and dozens of other different animals which I also love and protect. As far as substrate, they all seem to like the New Zealand Sphagnum Moss and also the Zoo Med All Natural No Dyes Terrarium Moss to burrow themselves in. I had to experiment with several other ones before I found one that they liked and I was comfortable with. In the beginning, I used other substrates including the coconut fiber, one of them hated it. It wouldn’t even get near it. Tortoises remind me of us, they all have their own little personalities, if you pay attention to them. I also had to experiment with a lot of different water and food dishes. I haven’t found anything suitable on the market for the hatchlings and the younger tortoises. So I have to improvise and make my own. I can’t think of the large water dish that the larger tortoises just love. I think it’s the Extra Large Zoo Med Repti Bowl with a Ramp. They liked it so much that I had to get a second one and I found it at Amazon. I also have the extra large Exo Terra water dish, which they will use, but I think it’s a little more difficult for them to get in and out. Maybe the Exo Terra dish is more for snakes and other reptiles. If anyone is interested in the Zoo Med Repti Bowls, let me know and I’ll find the exact info on it. I’m not sure if they’re being discontinued because I had a difficult time finding the second one. I bought the first one at Pet Smart the year before and it was almost $40. A year later, the second one was less than $20 at Amazon. And finally, for those wondering if you can give Diatomaceous Earth to your turtles. I wouldn’t do it. It would probably dry them up and eventually kill them. Sorry Frank, you asked for a comment not a book. Hope this helps. Thanks so much for your thoughtful reply and interesting observations. Very unique that you were able to observe nesting in that manner…you are quite dedicated. Are you familiar with David Carroll’s books?..if not, you must read them, I’m sure you’ll enjoy and relate. Thanks for bringing up aquariums…glass aquariums are especially bad for desert/arid-adapted tortoises, due to the restricted air flow…some further info here. I agree re the Zoo Med cages you mention. I’ve never heard of David Carroll. I went to Amazon.com and only found music by a person by that name. I then googled the name and 3 names popped up. Has he written any books on turtles? There’s a website under construction by one of the David Carroll’s I found. I will have to check it out after December 15, when my new billing cycle starts on my internet plan. My internet plan is very limited and runs out very fast and I have to be careful not to exceed it. If you have the titles of the books David Carroll has written on box turtles, please let me know. Forgot to mention that the 3 little hatchlings learned to find their water dish when they were less than a month old. They all wake up at different times, go find the water, drink and soak for a few minutes then go back to sleep. They’ve been in a state of hibernation since they hatched on September 19 and 20, 2013. They look very healthy and strong. They’re beauty is breathtaking! I’ve been offering them food since they were about 3 weeks old. They smell the food but are not interested. I still don’t understand how box turtles can survive without food for so long. I do live in an area that gets pretty cold. Right now we’re approaching single digit weather. Some weathermen even predicted 19 below zero in a few days. He hasn’t written on box turtles specifically; but he writes of the small things you do – detailed observations (in the wild), etc…box turtles appear in his books, but focus is on spotted turtles, sometimes bog/wood also, and much of the wildlife native to the swamps he frequents. Here’s a link to his books..Year of the Turtle is the best one to start with if you decide to check out; great reading, and full of very useful info that applies to captives, incl. box turtles. 19 below! – guess I’ve no cause for complaint here in southern NY! In Midwest/north they can be in hibernation for 6 months or more…different in home, but they usually do ok; a bit more risk involved with hatchlings than adults. Let me know your day/night home temperatures, temps in tank etc. This book is excellent on care, authors are friends of mine, recognized experts; not sure if your situation is covered, but a worthwhile book in any event. Thanks for the info, Frank. I will look into David Carroll’s books and work after the holidays. His work sounds very interesting. Up until the end of November, the hatchlings were waking up on their own to drink water and the cage temperature was around 75 F. I would try to feed them out of my hand. Once in a while one would taste it, but that was it. I also provided for them a separate hiding area where I would also place food for them. I tried a variety of different kinds of fresh, chopped veggies and fruit, protein, Baby Repto Min. Towards the end, I even tried honey, baby cereal and baby foods. They would just look around and go look for their favorite sleeping area. I decided to let them go ahead and go into hibernation, if they are not going to eat. The current cage temp is about 65 F. I checked on them yesterday. They moved but I didn’t want to wake them up. Since box turtles have been around for so long, I wonder if they can sense the fluctuation of temp and barometric pressure, even if they can’t “feel” it inside the home? I suppose only turtles know the answer to that question. 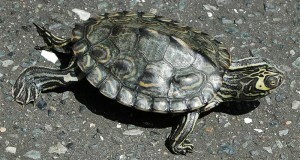 I should also mention that all my turtles are native to this/my area. I’ve noticed that as more and more people move into the rural areas, more and more turtles and little animals become endangered. A lot of people who don’t appreciate the natural environment, start to clear the land right away, destroying the homes of these little animals. Not to mention “speculators.” As years go by, I’m seeing more and more dead turtles and other small animals on the roads, which have been run over by vehicles. Thanks for the update. They do indeed have an “internal clock” of sorts…the study of these circadian rythms as they are known is fascination, applications to human health as well. Captivity changes all…some species keep their natural patterns , especially if born in the wild, others change. I’ve had gharials (large fish eating crocs) refuse food for 3 months each year, in tune to the winter in northern Pakistan, despite having been kept in NYC, and very warm, for 17 years; many similar examples – some related info here. You might put a basking light on one side of the terrarium…I use a 50-60 wt for adult box turtles held at that room temperature…lets them warm up if need be…since they are not truly hibernating; this has worked well, but young ones are more sensitive as we discussed in past. I shut the light at night, let temps fall to 58F or so. Road mortality is a major cause of box turtle and other reptile/amphib declines…box turtles have disappeared on Long Island outside of large, protected areas. I suspected this years ago! When my yellow foot was living alone, she only drank water unless she was sitting/soaking in it. Then, she went to live with a small colony of yellows for a few years. When I got her back, she had learned to drink water from a bowl. She now rarely drinks during a soaking! I figured once she saw another yellow do it, she learned that the bowl is drinking water too.